With more than a decades experience in the signage industry, SL2 Signs is your number one choice in West Sussex for sign and graphics work. Having worked on big projects such as ITV branding and the Ondeo Nalco rebrand, we're a trusted supplier with companies of all sizes and always deliver exceptional customer service. At SL2 Signs, we're highly experienced in the signs and graphics industry. 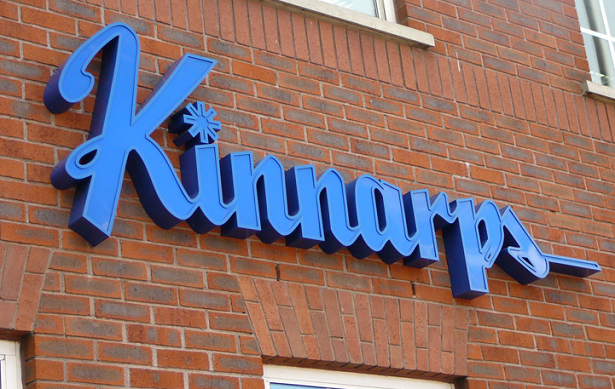 We specialise in providing high quality indoor and outdoor signs, particularly for businesses. Whether you're looking to jazz up your corporate identity, purchase some new illuminated signage or replace tired internal signs, we've got it covered. Plus, our team are able to advise on and install new external signage to make sure your premises have the wow factor the whole way through; from shop fascias to pavement furniture. Our highly qualified team are also experienced at installing eye-catching vehicle graphics whether it's for a car, van, truck or even boats and planes. Vehicle graphics make the perfect advertising tool and we're experienced at producing and implementing a whole range of visuals to speak to us today and see how we can help. What's more, our window graphics services are second to none so if you're looking for an attractive solution to your window signage solutions, we're just a phone call away. Call our friendly team today on 01403 272544 or email stuart@sl2.co.uk to see how we can help. Based right in the heart of the county, SL2 Signs work right across West Sussex and no distance is too far. From Pulborough and Storrington to Crawley and Gatwick: there's no corner we can't reach. Famed for its mix of urban and rural lifestyle, West Sussex is bursting with businesses that are always on the hunt for commendable and reliable tradesmen. Our team at SL2 Signs are on hand throughout your project and know West Sussex well, meaning you can rely on us to deliver a great result.